Tía Lola has been invited to teach Spanish at her niece and nephew’s elementary school. But Miguel wants nothing to do with the arrangement. He hasn’t had an easy time adjusting to his new school in Vermont and doesn’t like living so far away from Papi, who has a new girlfriend and an announcement to make. On the other hand, Miguel’s little sister, Juanita, can’t wait to introduce her colorfully dressed aunt with her migrating beauty mark to all her friends at school—that is, if she can stop getting distracted long enough to remember to do so. Before long, Tía Lola is organizing a Spanish treasure hunt and a Carnaval fiesta at school. Will Miguel be willing to join the fun? Will Juanita get her head out of the clouds and lead her classmates to victory in the treasure hunt? 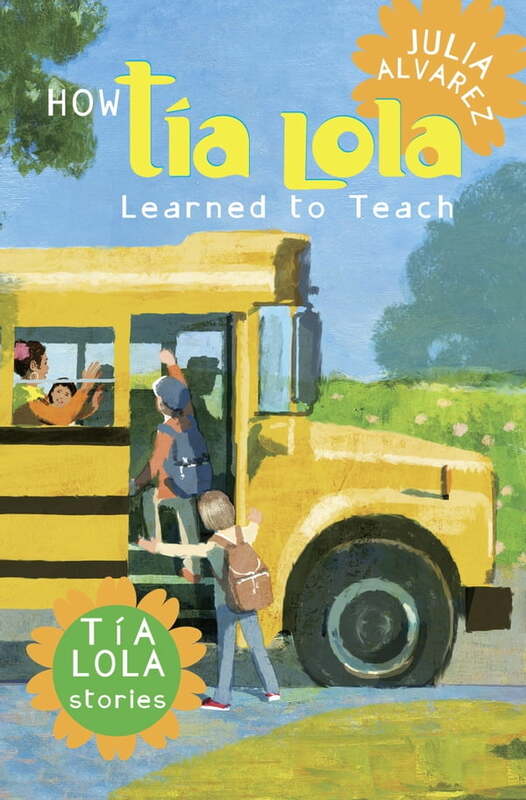 Told with abundant humor and heart, Julia Alvarez’s new Tía Lola story is the long-awaited sequel to the beloved How Tía Lola Came to Visit Stay.